RECAP: Jackie Bradley Jr.’s Go-Ahead Three-Run Double Lifts #RedSox to 7-5 Win over Astros in Game Two of ALCS. 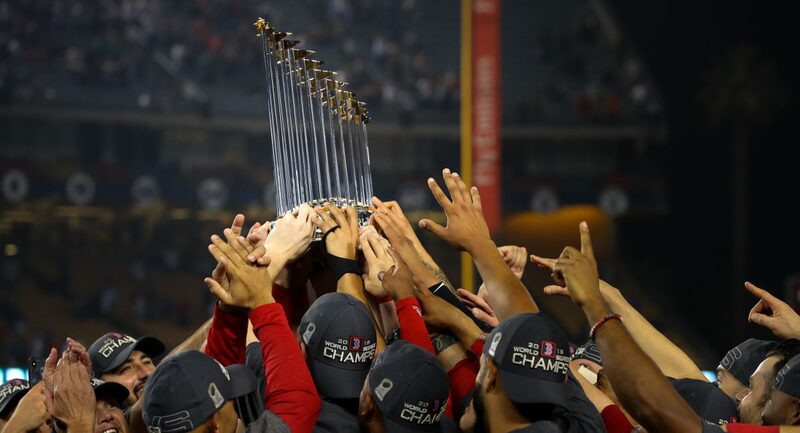 After dropping a frustrating Game One to the Houston Astros on Saturday night, the Red Sox looked to head to Houston and an off day with this American League Championship Series tied at one game a piece, and that they did. Making his first start since serving up three runs in a losing effort in Game Two of the ALDS against the New York Yankees last Saturday, David Price attempted to once again exercise his postseason demons against a club he has had more success against over his career. Pitching into the fifth inning of this one, the left-hander was charged for four earned runs on five hits and four walks to go along with one strikeout on the night. Similar to Chris Sale on Saturday, control was an issue for Price last night, and that was evident with two walks right away in the top half of the first. Despite those two early free passes, the Astros didn’t get to the Tennessee native until the second, when with two outs and runners on second and third, George Springer ripped a two-run double to right field. That tied this contest up at 2-2, but given the circumstances of what happened beforehand, I would not put all of the blame on Price up to that point. What I would criticize about Price’s performance came an inning later, when with two outs again and a runner at first, Marwin Gonzalez leaned into a 3-2 92 MPH fastball and sent it 397 feet over the Green Monster. That two-run shot gave Houston their first lead of the night, but that did not last all that long. As for how the rest of David Price’s night went, well, he sat down six of the final eight Astro hitters he faced following that home run, and was pulled with two outs in the top of the fifth with Marwin Gonzalez due up next. Finishing with a final pitch count of exactly 80 (50 strikes), the 33-year-old hurler relied on his two-seam fastball the most on Sunday, as he turned to it approximately 35% of the time he was on the mound. He also topped out at 93.6 MPH with the same pitch in the first inning and induced seven total swinging strikes. Although he was unable to officially pick up the winning decision in this one, with the Red Sox coming away with the victory, David Price has finally won one of his postseason starts after 10 career failed attempts beforehand. It certainly wasn’t his best effort, but it was enough to give his team a chance to win, which they capitalized on. In relief of Price, the Red Sox bullpen was responsible for the final 4.2 innings last night, and Matt Barnes got a solid all around performance from Boston relievers started by striking out Marwin Gonzalez to end the top half of the fifth and strand runners on first and second. From that point on, Barnes (1-0) recorded three more outs in consecutive order in the sixth to make away for Ryan Brasier in the seventh. Brasier, making his second appearance of the series, worked his way around a two out walk in an otherwise clean frame of relief. Rick Porcello, who last served as the set up man for Boston in Game One of the ALDS, took on the role once again in the eighth inning, and he needed just 18 pitches to sit down the side in order. Finally, Craig Kimbrel came on for the save opportunity with a fresh three-run lead to protect in the ninth. Despite allowing the tying run to come to the plate after cutting the Astros deficit to two runs, the flame throwing closer managed to hold on and pick up his third save of this postseason by getting Alex Bregman to fly out to left for the third and final out. Disaster averted once again. On the other side of things, the Red Sox lineup was matched up against Astros right-hander Gerrit Cole, who had never pitched in a LCS before last night. Starting the scoring right away in the bottom of the first, back-to-back leadoff hits from Mookie Betts and Andrew Benintendi plated Betts and gave the Red Sox an early advantage seemingly right away. Four batters later, with the bases loaded and only out in the inning, Rafael Devers, not Eduardo Nunez, came to the plate as the starting third baseman, and instantly deliverd in his first at bat of the night by beating the shift and lining an RBI double to left field that drove in Benintendi from third. 2-0. Two innings later, after the Astros had gone up by a pair of runs themselves, the Red Sox bats responded by loading the bases off of Cole for the second time in three innings. Coming to the plate with runners on each base and two outs in the bottom of the third, Jackie Bradley Jr. delivered with the clutchest hit of the night, a bases-clearing three RBI double down the left field line that put his team up 5-4. Fast forward all the way to the seventh now, with Cole out and Lance McCullers Jr. in for Houston, Mookie Betts provided some late game insurance by scoring from third on a passed ball with Xander Bogaerts at the plate. 6-4. And in the eighth, Mookie Betts wrapped up a fine night of scoring from his team by lining a sharp RBI double to center field. That allowed Rafael Devers, who led the inning against Astros reliever Josh James off with a single, to score all the way from second, and that is all the Red Sox would need to even this series up in a 7-5 victory. #RedSox LHP Chris Sale reported a stomach illness today and was admitted to MGH for observation this afternoon. He will be kept overnight for evaluation and any further updates will be released when available. Obviously, that caught everyone a bit off guard and no further updates have been released as I am writing this. On a more positive note though, Matt Barnes, who earned the winning decision last night, has yet to yield a run over four total relief appearances this postseason. It’s an off day in Houston for the Red Sox on Monday, but it’s back to business for Game Three of this ALCS at Minute Maid Park on Tuesday. Nathan Eovaldi and Dallas Keuchel are set to be the starters in what has transitioned into the opening game of a now best-of-five game series. 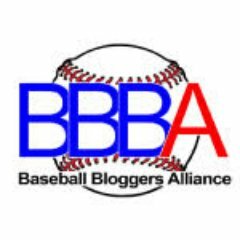 First pitch of the third game is scheduled for 5:09 PM ET Tuesday on TBS. Also, shout out to the Patriots for winning their third straight game. It was a good Sunday night in Boston. Previous Previous post: RECAP: #RedSox Advance to ALCS Following Dramatic 4-3 Win over Yankees in New York. Next Next post: RECAP: Jackie Bradley Jr. Blasts Grand Slam as #RedSox Take 2-1 Edge over Astros in ALCS.